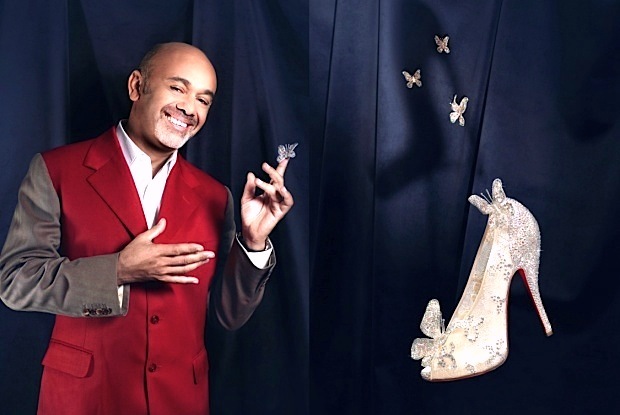 Christian Louboutin and fairytale shoes comes alive? No surprises. 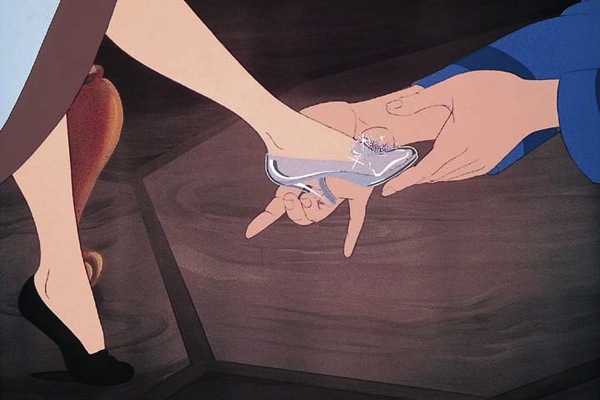 Now, the brilliant designer will release his own red-soled version of the glass-slipper to celebrate the upcoming release of Cinderella's Blu-ray Diamond Edition. The collaboration will also produce a 10 minute short movie titled "The Magic of The Glass Slipper: A Cinderella Story". Christian will make a cameo appearance there and I can't wait to see it being released on Youtube! Wanna see.. The shoes were revealed on Wednesday last week at Palais Brongniart during the Paris Couture Week. They were presented alongside images from the original 1950 Disney animated classic. Only 20 pairs of shoes will be crafted, and they won't be for public consumption. At 17th August Disney and Louboutin will announce more information on how they're going to choose who to give the shoes to. So cool eh! 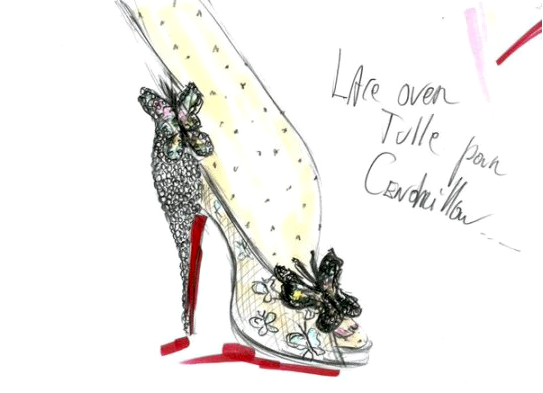 "I have been so lucky to have crossed paths with Cinderella, an icon who is so emblematic to the shoe world as well as the dream world." "Her character and her story dictated the design to me. 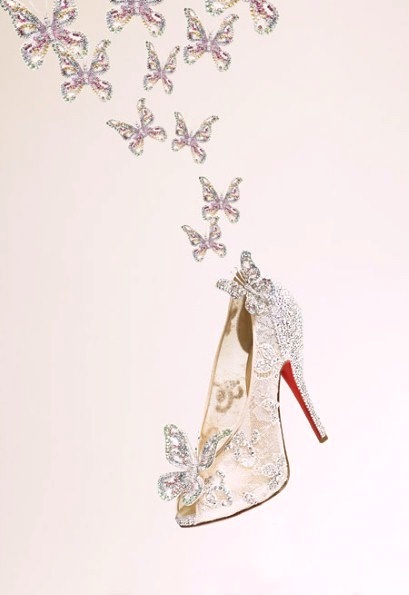 It was all there in the pages and the words of this tale," said Louboutin. 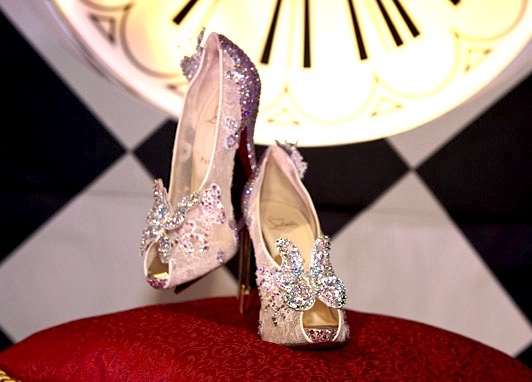 "Cinderella is not only an iconic character when it comes to grace and fairytale love, but also shoes. The dream is a major factor in my language of design. There are no limits in the world of fantasy and there is always a happily ever after." Of course! One look at the shoes and it says all. He uses lace to give the illusion of transparency to the feet instead of making a literal glass slipper. "Full transparency made into a shoe makes a really ugly foot," explained him. And using actual glass material will make it too dangerous for the ladies. 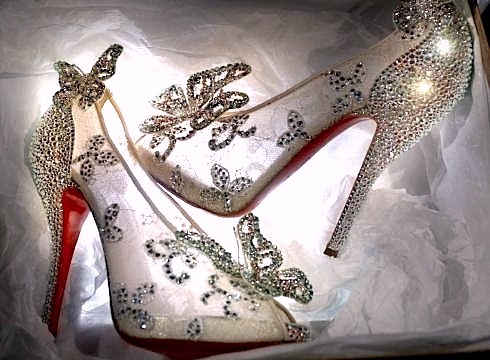 The shoes are really beautiful, don't you agree? 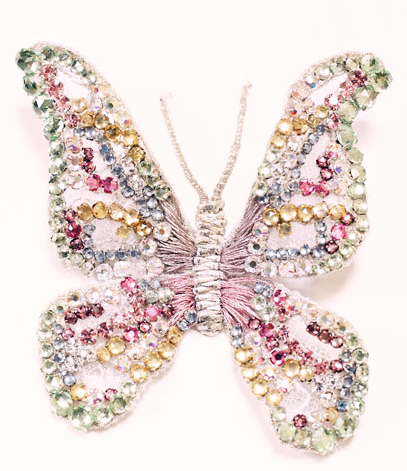 It's so cute and pretty with butterflies and sparkling Swarovski crystals all over the heel. Very delicate, very princess-ish. He's totally reinvented the whole concept of Cinderella's shoes. Top notch!